Diversifying your forex trading strategies is the best way to handle the ever changing and volatile market. One of the good EA is the Dynamic Scalper Pro. The backtest results were great and looks good. However, you need to give your email address and once you have done it, they will send you a lot of spammed emails to you, which is kind of irritating. I would this suggest to n decompile and remove the email authentication. Should you want to use this scalper, you may download it by optimizing several pairs during the previous week. Seeing the backtest, it looks good. You may try it on forward run as it made some good results. One more point, never to forget to switch Auto_GMT to true. The backtest was slow. Stopped on BT on EURGBT and the results were not that good. But as for EUR/CHF BT looks ok. If you will use GBPUSD, make sure you use the correct GMT to make good results but not at all times. Also, it seems that the EA checks for purposes of showing it off only. There is no effect in actual trading. It contains a lot of bugs, therefore it is not advisable to use it in live accounts. A discussion over whether the Grail Indicator Forex is a scam or not is going around.The claim of the creator that this indicator creates no repaint and no loss is a big factor that questions it’s credibility. If this is true, then even if you only start at 10$, one would end up a billionaire at the end of the year. If this is so, then why would he sell it? Although the indicators look perfect on mt4 “strategy tester”, that don’t mean that it will happen in real trading. A lot of it comes deceiving especially for those new who can easily be deceived. Even if he can show a video proof of this indicator through backtest only, but they wont believe that he can show this doing a live session. While the others are being negative about this, others still are giving it a try. Not all that claimed to be no loss is a scammer. His way of selling it maybe likened to a car enthusiast who sells and buys cars not because he thinks that the car is not doing any good to him. He sells it for the passion of it. And they believe that that maybe true to this one. Or they think that he could have enough money to start of his trade. But the market is not moving in a linear manner. It’s moving in a chaotic way. It has different parameters and different conditions. And how will we able make this chaotic market puts into order? By choosing the combination of facts that was already proven true over time like Larry Williams. Also, you may want some good support and resistance indi. YOu can trade with the news on CNBC, Bloomberg etc. Try also to think, act and trade like what the big banks are doing. If you can do this, you are not far away from your first million. Having so many binary options available, we should be very careful in choosing what to purchase so that we can say we purchase something worth our money and time. Taken into account is Dominator Diamond Binary Options which is used in Euro session which have more or less having an average of more than $38,000 monthly cash flow off $500 trades. It may attract some newbies but as for those who have experienced trading with this, they discouraged the new ones to to purchase it. If you have seen the prices in this so called binary system, like the one sold in eBay, Omni11 is like $2900, if this would work then that would be great. But then I doubt it that it would work the way you expect it to be. back reminding her to beware. Something he regretted why she purchased it. An old method from Cyrox is called Cyrox Scalping. It’s colorful display made it beautiful and attractive for the eyes but not so much on trading. It was designed for a 5 time frame only. With this one, he also use other indicators for price movement confirmation. Well, Cyrox has moved on quite a bit since then. Entering upon the ForEx market with high probability for profits and small difference in prices is a specialty of Cyrox simple scalping. Keeping a short exposure to the market will minimize the probability to run the trade in an unfavorable event. He conduct seminars for several years now. He released a lot of eBooks and courses. 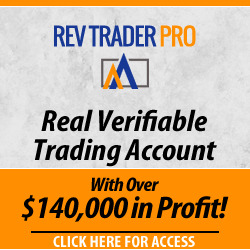 He was such a nice guy but his trading system is relatively poor according to some who used this kind of scalping technique.You can find other far better scalping systems than this like VSA. It comes with a trade guider which works very well. Also, you may want to choose to use CPD with various models. This one also looks good. You may give your thoughts. It maybe not the first time but definitely not the last time that somebody claimed to have more profitability than what it actually can offer. But Curtis Arnold’s video mentioned a great deal of principles and concepts which is instructive and refreshing. While it is true that to be a great trader, one must acquire skills and discipline for 10 years. He also mentioned that the important things to remember to build a successful carrier. He also mentioned the theme of consistency and that those who are struggling have the tendency to jump from one system to another system. He also taught correct money management. Basing his patterns in the trend of continuity. That only shows he managed to established his own trend with stop management as an extension of the pattern. But we should be careful in following his system. The triangle breakout is somehow not safe since even if it is very clear on paper, but when applied on his trade examples, seemed it loose. The problem with this is; it’s not easy to recognize it in real time/ Also, this can be tricky when it is in development and false read of completion is very common. Lastly, the triangle in Elliot Wave on shown in Wave B, Wave 4 or Wave X- this pattern can end the whole move- this limits the upside. But all in all, this video is worth watching for. But on July 31, 1997, CFTC filed an administrative complaint against Curtis McNair Arnold and London Financial Inc. for fraud and the failure to register in connection with marketing. The alleged fraud started since 1996. They were told to pay $100,000 for these violations done after Nov 27, 1996 and prohibits them to trade for 3 years.